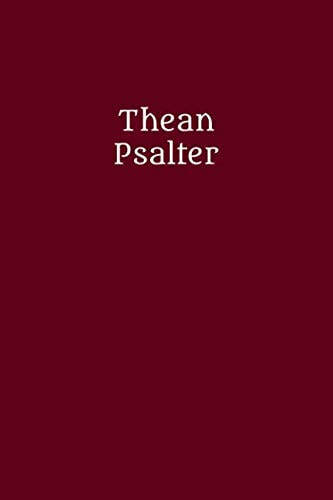 ​Thea Press is pleased to announce the publication of the Thean Psalter by M. Kate Allen. The Thean Psalter is a feminist, feminine prayer book based on the Book of Psalms. The psalms are organized into morning and evening prayer over thirty days so that the entire book can be prayed individually or communally over the course of a month. The Thean Psalter cultivates an intersectional thealogical approach and serves as a resource for those who seek to pray using feminine images of the Divine in a feminine voice. Theanism, from which "Thean" is derived, finds its roots in the Greek word, "Thea," which means "Goddess." 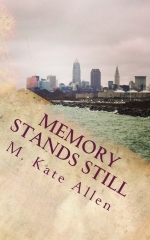 Thea Press is pleased to announce its debut publication, Memory Stands Still by M. Kate Allen. M. Kate Allen is a writer of long fiction, short fiction and poetry. Her most recent book, Memory Stands Still, is her first novel. Her first book, Life. Love. Liturgy., is a collection of unconventional religious short stories and poetry. Her short fiction has also been featured in anthologies published by Solarwyrm Press and Fey Publishing. She has a Master of Arts degree in Liturgy from Saint John's School of Theology * Seminary. You can learn more about her and read her blog, "Thealogical Lady," at lifeloveliturgy.com. The Prayer of Hannah and Mary is a prayer to God that has been prayed by Christians for two thousand years. Imagine with me that this prayer were addressed to Goddess, to Thea--what would it sound like? Imagine that the main characters of the Christian narrative were female and believed in the holiness of the body rather than ethereal, dualistic spirit--how would Mary pray then? she has scattered the proud in their schemes. to Sarah and her descendants forever. For the last few months I've been plodding along through Starhawk's The Spiral Dance, reading about Witchcraft and the ancient religion of the Goddess. My Christian background has whispered in the back of my mind, telling me that something is wrong with Witchcraft (and something is wrong with me for reading about it)--it's amazing how well ingrained old prejudices cling to a person, despite one's efforts to shake them firmly off. Despite that, I've continued to read, and I've discovered that Witchcraft (of which Wicca is one branch) is a tradition (or, I should say, a collection of traditions) that affirms in the strongest possible way the power of women, both individually and collectively. It is feminist and egalitarian, and it identifies the immanence of the divine in all the cosmos. Transcendence seems to be less a quality of Goddess than something for human beings to achieve. Goddess is all around us, and we are Goddess, according to Starhawk, who is an internationally known and respected witch. I've been leading a house church in my home since the beginning of this year, and in that time I've constructed an ordo (a written ritual) for our liturgy. For this week's liturgy, having just finished reading The Spiral Dance, I set aside the ordo and approached our Eucharist with just a loaf of bread and a glass of wine. I wanted to see what would unfold in the absence of a script, now that the principles and practices of Witchcraft were on my mind. I began by gathering us around the table. Normally we gather on one side the living room table where we sit together on the couch, but this time we gathered on three sides of our dining room table, each of us in her own chair. My older daughter began reciting a litany filled with giggles. "I am the table," she said. "I am the chair. I am the bread. I am the wine. I am the wall." And on and on. As I listened, I recognized Thea (our name for Goddess) on her lips. Thea was speaking through my daughter--she was my daughter. And she was everything that my daughter mentioned. My awareness of the holiness of all things, animate and inanimate, charged the space. When my daughter was finished, I asked her if Thea was in all the things that she mentioned. "Yes," she nodded, smiling. We continued with our breaking of the bread and sharing of the cup. My older daughter broke the bread and shared it with her sister and me, saying, "Body of Christ" as she handed each of us a piece. As I ate, I pondered Christianity and Witchcraft and where the sacred is said to be located in each tradition. Several Christian denominations locate the presence of God in the consecrated bread of Eucharist--and so has my family, over these last months of celebrating together as a house church. Today, however, the everywhere nature of Goddess struck me. The bread of Eucharist is sacred--and so is the plate that holds it, the hands that distribute it, and the mouths that eat it. According to Witchcraft, the universe is inherently sacred, because all the universe is Goddess. For my whole life, I've been taught that God is apart from creation and holier than it. I'm not sure I buy that anymore. And if I don't view God as the Sacred Other, the other pillars of my Christian understanding begin to collapse as well. How can I believe that I hold the power and presence of the Goddess within me and still hold on to the Christian story? What wisdom does the intersection between Christianity and Witchcraft hold? As a cradle Catholic, I was taught from the beginning to imagine God as male. It was written right into the prayers of the liturgy--we prayed to the Father, the Son, and the Holy Spirit. (The Holy Spirit was deemed to be male, too.) Jesus called God "Abba," which can be translated, "Daddy." Scripture was littered with male pronouns for God. That God was male was so obvious that I never questioned it. But then, one day, I did question it. And after a couple of years of questioning it, I tried out praying to God using feminine pronouns--just for the Holy Spirit, mind you, but when I got to the Holy Spirit in my recitation of the creed, I said "she" with gusto. And after I left conventional church altogether and founded a house church for myself and my daughters, I abandoned masculine pronouns for the first person of the Trinity and began to refer to her as Thea. I began to refer to Jesus Christ as Sophia Christ--God's holy wisdom, who in the Old Testament is personified as female. And the Spirit? She remained a she to me. Now my God is my Goddess. I appreciate the traditions that imagine God as male--God is not limited by my imagination or anyone else's--but those traditions are no longer mine. Now I choose to embrace the divine feminine, allowing Goddess traditions such as Wicca to inform my own Goddess imagery. My Christian faith is no longer conventional, but driven by an intense desire to know Amma, Thea, Goddess. Do you--can you--imagine God as Goddess? even though you have been with us through all of time. smell your fragrance, hear your voice, and see your face. This blog honors questions, shares ideas, and offers prayers. You are welcome to do the same in the comments. Kindness is the only rule.